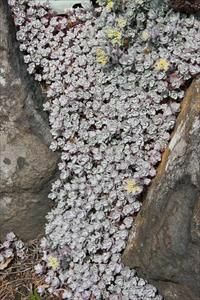 Make use of this Pacific Northwest native species in containers, living walls, or rock gardens. 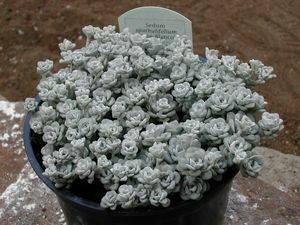 Attractive rosettes of silvery-blue (almost white-washed) leaves are complimented by butter-yellow star-shaped flowers in late spring to early summer. 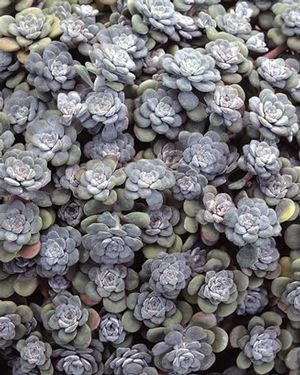 Foliage grows to 4-6” in well-drained soil. Avoid wet soils, especially in winter. Avoid wet soils, especially in winter.